Join us this year within the beautiful Columbia River Gorge National Scenic Area and Mt. Hood National Forest! 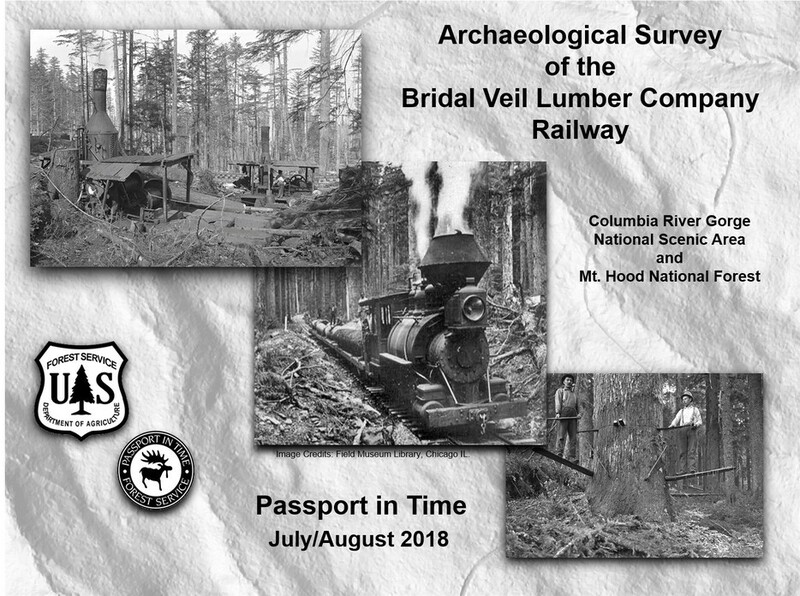 We are seeking PIT volunteers for assistance in recording an historic logging railroad. The railroad has been long abandoned and out of use. But, during the Eagle Creek Fire in the fall of 2017, features were discovered in relation to the structure. We are hoping to fully record the site and its features along the length of what has been exposed and what is known about its historic trajectory. It is an important part of the history of this region, and you will be able to say you helped get the railroad “back on the map” – we hope to see you this summer!